The conservation and management of sea otters has benefited from a dedicated research effort over the past 60 years enabling this species to recover from a few thousand in the early 20th century to about 150,000 today. Continued research to allow full, pre-exploitation recovery and restoration of nearshore ecosystems should focus on at least seven key challenges: (1) Defining sea otter populations at smaller spatial scales that reflect this species’ life history and dispersal patterns; (2) Understanding factors that regulate sea otter population density with a focus on index sites that are representative of the variety of littoral habitats occupied by sea otters around the North Pacific Rim; (3) Quantifying the effects of sea otters on the littoral community with a focus on how food availability limits population and ecosystem recovery and on predicting the effect of sea otter reoccupation on commercially valuable invertebrates; (4) Making sea otter monitoring programs comparable across geo-political boundaries through international collaboration to optimize survey efforts both spatially and temporally and to determine the cause of changes in sea otter demographics; (5) Evaluating the conservation benefits of sea otter reintroductions into historical habitat; (6) Assessing the socioeconomic costs and benefits of sea otter range expansion to anticipate and mitigate conflicts; (7) Recognizing in conservation and management plans that sea otters can be significantly affected by higher level predators in some circumstances. Many of these challenges will require new tools including the next generation geolocation tag technology that will allow assessments of long-range movements, dispersal and gene flow in various populations. Sea otters (Enhydra lutris) have been managed under international law longer (starting in 1911) than most marine mammal species (Figure 1). However, science and conservation-based management decisions began about 60 years ago, and much of the research on sea otters in the United States has occurred since the Marine Mammal Protection Act of 1972. Sea otters once numbered ∼300,000 and ranged around the North Pacific Rim from northern Japan through Russia, Alaska, Canada, and along the coast of the contiguous United States to central Baja California in Mexico (Figure 2). Following the modern discovery of sea otters in the North Pacific Ocean by Vitus Bering during his expedition in the mid-1700s, the maritime fur trade in the late 18th and 19th centuries reduced sea otter populations to less than ∼2,000 individuals combined. The North Pacific Fur Seal Treaty of 1911, which included sea otters, offered the first legal protection for sea otters in at least some parts of their range (Nichol, 2015) and initiated active, multi-national management so that the species could recover. However, their pre-exploitation range had been seriously fragmented with widely scattered remnant populations in Russia, Alaska, and California. The Russia, Alaska, and California populations are each designated as subspecies in part for management purposes, although there are some morphological differences (Wilson et al., 1991). Population expansion occurred initially through protection from hunting and later through reintroductions with varying degrees of success. Sea otters now are established (with significant gaps) from northern Japan to southern California. Figure 1. Sea otter feeding on a California sea cucumber (Apostichopus californicus). Image by R. Davis taken under the authority of United States Fish and Wildlife Service LOC MA-043219. Figure 2. 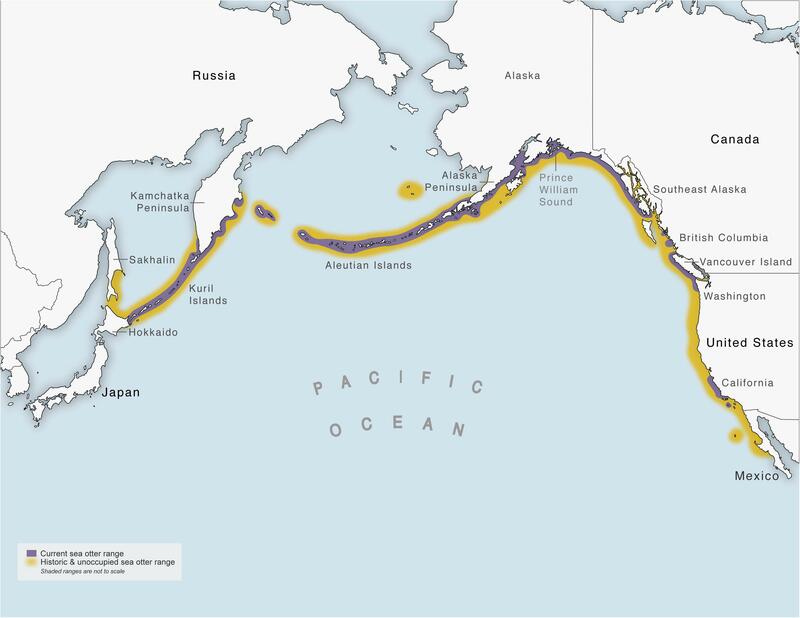 Current (purple) and historic (yellow) sea otter range. In both the United States and Canada, sea otters are protected under federal laws including the United States Marine Mammal Protection Act of 1972, the United States Endangered Species Act of 1973, and Canada’s Protection of Species at Risk signed in 2002. In Russia, sea otters have a conservation status that prohibits capture or hunting except by special license for science or display purposes (Nichol, 2015). Sea otters are protected from intentional capture in Japan by the “Law of Hunting Control of Sea Otters and Fur Seal” where they occur in very low numbers (Hattori et al., 2005; Davis, pers. obs.). Sea otter conservation also is promoted by organizations such as the International Union for the Conservation of Nature (IUCN, Switzerland). Full reoccupation of all historical habitat is still many decades away, but the indicators are promising. During the past 60 years, much has been learned about their natural history, physiological adaptations for an aquatic life, and the important role they play in structuring nearshore marine ecosystems. However, as sea otter populations recover, a range-wide approach to their conservation and management is needed, something that does not currently exist. The goal of this article is to identify and address some of the key questions and challenges for future research and management that will contribute to the full recovery of sea otters to pre-exploitation levels, reoccupation of their historical range, and restoration of nearshore ecosystems. 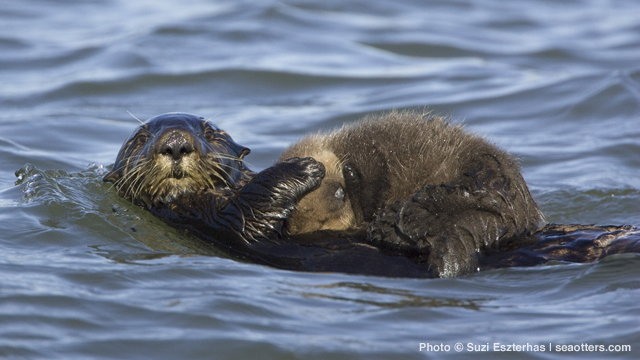 (1) How Should Sea Otter Populations Be Defined? The limited size of sea otters’ home ranges and differences in growth rates among areas indicate that their populations are demographically structured at spatial scales as small as several hundred km2 (Bodkin, 2015), but how do we distinguish one “population” from another? Management authorities may require population definitions based on political boundaries or other geographic, cultural, or economic justifications (Pennock and Dimmick, 1997). Ideally, the definition should be based on demographics and the dispersal distances of individuals in the population. For sea otters, dispersal distance is one of the least studied aspects of their biology, and developing new technologies to study dispersal should be a high priority for future research. We often define populations by genetic structure as measured by the genetic similarity/dissimilarity of various subpopulations, which itself is a product of demographic processes. However, genetic structure also can be influenced by other factors such as past commercial harvests that exterminated stocks, fragmented habitats that limit natural dispersal, and extra-limital dispersal resulting from environmental change or translocation. Currently, the Alaska sea otter population is divided into three stocks (Gorbics and Bodkin, 2001). Genetic studies of sea otters provide evidence for major groupings, but no evidence of microgeographic structuring (see review in Scribner et al., 1997). However, genetic data to assess questions of spatial structuring are limited. Previous samples were collected from widely dispersed locations and shared among studies, and they suggested that sampling on a microgeographic scale should be considered in future genetic analysis. More recent high-resolution sampling of the southern sea otter population in California did find evidence for isolation by distance and cryptic genetic structure with implications for estimates of effective population size (Gagne et al., 2018). From a conservation genetics perspective, it is interesting to note that genetic diversity is highest in translocated populations derived from two source populations (Larson et al., 2002b). Specifically, all extant sea otter populations have low genetic variability because of the population bottlenecks created by the maritime fur harvest (Larson et al., 2002b, 2015). However, genetic variability is highest in the Southeast Alaska population, which was created by translocations from two widely separated source populations including Prince William Sound and Amchitka Island (Jameson et al., 1982; Larson et al., 2002a). Here, we give examples of the challenges in defining sea otter populations and the consequences of managing populations at an inappropriate scale. During the maritime fur trade, sea otters were exterminated throughout much of their range not by commercial harvest per se, but by serial harvests that extirpated animals from one area to the next (Bodkin, 2015). Similar serial harvests are not likely to be repeated, but any management strategy that allows harvests of any kind should consider harvest levels within smaller geographic subunits. In contrast to the European harvest, at least some pre-contact Alaska Native cultures in the Aleutians and other First Nations groups within the sea otters’ range appear to have harvested sea otters in a much more sustainable manner. Specifically, it appears they used intense local harvests of sea otters to manage local subsistence marine invertebrate food resources (Simenstad et al., 1978; Szpak et al., 2012; Salomon et al., 2015). That is, localized harvests limited sea otter impacts on local subsistence shellfish resources while not having a significant impact on the range-wide sea otter population. Since its discovery along the coast of central California, the southern sea otter population has grown at anemic rates compared to populations in Alaska. For many years, the central question driving research in California was why this population was growing so slowly. Early on, interactions with fisheries were identified as a possible cause. Although the population decline slowed when nearshore nets were outlawed, growth still progressed slowly (Estes, 1990; Estes et al., 2003). Disease, parasites and predation were identified as possible factors (Miller et al., 2002, 2004; Kreuder et al., 2003; Conrad et al., 2005a,b, Johnson et al., 2009), but it appeared unlikely that these factors fully explained the population’s slow growth. Range expansion predictions based on dispersal distance or reaction-diffusion models had mixed success but generally did not provide definitive biological context for the mechanisms driving population expansion (Lubina and Levin, 1988; Krkosek et al., 2007). More recent modeling demonstrated that the California population was not acting as one unit (Tinker et al., 2006) and that the linear nature of the California coast limited population growth simply because of its two-dimensional nature (Tinker, 2015). That is, compared to the complex coastline of many areas in Alaska and Canada where remnant or translocated populations could expand in many directions simultaneously (allowing higher population growth rates; Bodkin et al., 1999), the California population could expand only in two directions (north and south). Limited dispersal distances, adult affinity to small home ranges (Tarjan and Tinker, 2016) and food limitations that developed within the core segment of the population limited the number of animals that could emigrate in these two directions. Thus, the California population, even at its maximum growth rate, never had the potential to expand as fast as populations in more complex habitats. Intuitively this explanation makes sense, but it took decades for biologists to fully realize how a population functioning at small spatial scales in conjunction with shoreline complexity could explain the relatively slow growth of the California population, which for decades was a source of concern for sea otter researchers and conservation organizations. Several remnant populations of sea otters survived in the Aleutian Islands following the maritime fur trade. After protection in 1911, these remnant populations expanded across open water up to 50 km to reoccupy neighboring islands (Lensink, 1960). However, since the early 1990s, the Aleutian sea otter population has declined by more the 90%, likely because of killer whale predation (Estes et al., 1998; Doroff et al., 2003; Springer et al., 2003; Williams et al., 2004; Estes et al., 2005). Currently, the United States Fish and Wildlife Service identifies the Southwest Alaska sea otter stock as a single Distinct Population Segment (DPS, U.S. Fish and Wildlife Service, 2013) from Attu at the western tip of the Aleutians to a boundary drawn down the middle of lower Cook Inlet, approximately 2,500 linear km. Within that range, sea otters exist along the exposed coasts of many island groups, particularly in the western Aleutians, at extremely low densities (e.g., only one sea otter was sighted at the Ogliuga/Skagul Island group in the 2015 skiff survey; USFWS). In contrast, areas to the east still have healthy, growing populations, including those along the southern Alaska Peninsula (Coletti et al., 2016) and Kodiak Island (Monson and DeGange, 1995). Within the western Aleutian Islands, only a few areas with concentrations of sea otters remain (i.e., “hotspots”), generally within complex, nearshore reef habitats or lagoons that protect the surviving animals from predation. Managers have recognized that the southwest Alaska DPS is not one population with common demographics, and the Recovery Plan for this listed stock includes five management units (MUs) within the DPS: (1) Western Aleutian Islands; (2) Eastern Aleutian Islands; (3) South Alaska Peninsula; (4) Bristol Bay; and (5) Kodiak, Kamishak, Alaska Peninsula (U.S. Fish and Wildlife Service, 2013). However, it is likely that subpopulations within MUs are functionally independent as well. For example, the western Aleutian MU was derived from two remnant colonies and includes island groups separated by up to 100 km with few, widely dispersed hotspots making genetic exchange unlikely. Demographically and ecologically, sea otter populations operate at smaller spatial scales than currently recognized by management agencies (i.e., at the level of subspecies and stock designations that currently span 1,000s of km). We should reconsider the spatial scales on which we define sea otter populations in recognition of this biological reality. Genetically, the southwest Alaskan DPS shows a population structure typical of isolation by distance (USFWS, Anchorage, AK, United States) reflecting the limited dispersal distances of sea otters (Tarjan and Tinker, 2016). In addition, sea otters in the western Aleutian Islands have likely experienced strong selection against dispersal [i.e., dispersers were/are more likely to be eliminated by killer whale predation (see Question 7); Willems and Hill, 2009; Lapiedra et al., 2018], potentially making recovery and reoccupation even more difficult in the future. Managers may be served better by defining populations at smaller spatial scales even within the Southwest Alaskan DPS’s five MUs. Potential designations could be based on both demography and habitat characteristics that currently allow sea otter persistence in some locations (see Questions 5 and 7), and could consider rates of genetic exchange between subpopulations, with the goal of maintaining or even improving the genetic health and heterozygosity of subpopulations (see Question 5). Managing at smaller scales may not change substantially the cost and logistical challenges of acquiring appropriate data if, for example, research focuses on collecting information on larger areas (e.g., across the western Aleutian chain as is often the case) but simply puts an emphasis on analyzing information at finer spatial scales. This strategy does come at the cost of reduced statistical power due to reduced sample sizes within specific subpopulations but adds strength to interpretations of change that occur within one or a few local subpopulations or across all populations (e.g., Coletti et al., 2016, also see Question 3). Defining populations at smaller spatial scales could add flexibility to management options, which now center on balancing the interests of several user groups. These include sea otter ecotourism, their role as an important component of the nearshore ecosystem (see Question 3), as a competitor for commercial and subsistence shellfish fisheries (see Question 6), and as a species traditionally harvested by Alaska Native groups. (2) What Behavioral, Energetic, and Ecological Factors Contribute to Regulating Sea Otter Population Density? Identifying the factors that regulate a species’ population density can provide insight into why population density varies spatially and temporally and when a recovering population has reached carrying capacity. Animal populations are limited by density-dependent and density-independent factors, many of which are known for sea otters, although the importance of individual factors varies. After their near extirpation, remnant sea otter populations and those that resulted from reintroduction were below carrying capacity and experienced a period of logistic growth. Well-known examples are sea otter populations in the Aleutian Islands prior to their subsequent decline in the 1990s, as well as populations in Southeast Alaska and Washington State (Bodkin et al., 1999). Other populations, such as the one in California, experienced more modest growth (Estes et al., 2003; see Question 1). Because of their elevated resting metabolic rate and food consumption (∼25% of body weight per day, primarily benthic invertebrates; Costa and Kooyman, 1984; Yeates et al., 2007; Wolt et al., 2012), sea otters are widely recognized as susceptible to density-dependent competition for food (Kenyon, 1969; Estes, 2015). As sea otters reoccupy an area, populations of epibenthic prey such as sea urchins, crabs and abalone generally decline first followed by infaunal species such as large bivalves, depending on habitat (Kvitek and Oliver, 1992; Kvitek et al., 1993). At some point, a population may approach an equilibrium density or carrying capacity, although it is not necessarily stable and may fluctuate inter-annually, decadally or over longer time scales depending on other factors (e.g., disease, predation). Foraging effort (i.e., number of hours per day spent feeding) appears to be related to the status of the population relative to food availability across nearly all the sea otter’s current range (Estes et al., 1986; Bodkin et al., 2007; Monson and Bowen, 2015; Coletti et al., 2016; Cortez et al., 2016). Foraging efforts of more than 10 h day-1 (>40% of daily activity budget) may indicate that a population is approaching an equilibrium density, although it depends on the productivity and prey availability of the habitat. Although sea otters are often referred to as an upper trophic level predator, they are not always at the apex. Predation has had a significant effect on some sea otter populations (see Question 7), especially in the Aleutian Islands (killer whales) and more recently in California (white sharks), although there is no evidence that the carcasses are consumed by white sharks (Tinker et al., 2016). Predation can also force sea otters into refugia that are less accessible to predators, thereby reducing available habitat and secondarily increasing competition for food in “safe” areas (Heithaus and Dill, 2006; Heithaus et al., 2008; Wirsing et al., 2008; Willems and Hill, 2009). Diseases (Toxoplasma gondii in California and Streptococcus Syndrome in parts of Alaska) also may have a density-dependent effect on local populations (Johnson et al., 2009; Mazzillo et al., 2013; Van Wormer et al., 2014; Counihan et al., 2015; Bartlett et al., 2016). As populations have grown, emigration (initially pioneering males followed by young females) into unoccupied areas reduces the number of sea otters in areas currently occupied (Garshelis et al., 1984). However, not all unoccupied habitats are equivalent in terms of available resources such as food and shelter, and these differences can result in geographic barriers, discontinuous distributions, and variable population densities. The reproductive system of sea otters is resource defense polygyny (Riedman and Estes, 1990). Females with pups will occupy areas that provide important resources such as food and protection from wind and waves. Adult males will establish territories within these areas and vigorously defend them, thereby limiting the number of males in an area (Garshelis et al., 1984). Females move freely among these territories, but any female within a territory will be investigated for sexual receptivity. Factors that regulate female densities are not well known, but small annual home ranges are suggestive of behavioral mechanisms. In areas occupied by younger or non-territorial males, food may be the primary factor driving density and emigration to unoccupied areas. Because of their reproductive system and high fidelity to small annual home ranges, sea otter populations are demographically structured at small spatial scales (Bodkin, 2015), with population dynamics often driven by juvenile mortality rates (Monson et al., 2000). An important density-independent factor is primary production, which injects carbon and nutrients into the food web (see Question 3). Interannual changes in productivity can influence the abundance and growth of sea otter prey, which will have an important bottom-up effect on the carrying capacity of an area. In nearly all areas occupied by sea otters, primary production is provided by two pathways. One is through the macrophytes (kelps, seaweeds and sea grasses) that provide a stable source of productivity. The other is through seasonal blooms in phytoplankton that can occur within an area or be transported to nearshore habitats. These complementary sources of carbon provide some resilience to species of suspension feeding invertebrates that depend on particulate organic carbon (POC). The POC that is produced in the spring bloom may be a source of carbon that circulates in the water column for the remainder of the year, while the kelp provides a continuous source of carbon even in the winter when there is negligible phytoplankton productivity (Tallis, 2009). Cyclical changes in ocean climate or emerging changes due to climate change (e.g., ocean temperature, acidification) could significantly influence invertebrate populations on which sea otters depend by affecting either transport and recruitment of pelagic larvae (Menge et al., 1997, 2009) or survival and growth of recruits and adults on the benthos (Bodkin et al., 2018). Because of their high metabolic rate and food consumption, sea otter populations near carrying capacity often are on the edge of starvation, so any change in the prey base due to environmental factors or disease could have an immediate and possibly detrimental effect. The most direct effect of humans on sea otter population density was the fur trade, the legacy of which is still apparent today in large areas of unoccupied habitat (Figure 2). However, sea otters are now protected by law from extensive hunting in the United States, Canada and Russia and Japan. Alaska Natives can hunt sea otters legally but cannot sell unaltered pelts. Because demand for sea otter artifacts is small, the number of animals killed yearly is modest but increasing [currently averaging more than 1,000 per year in Alaska (USFWS, Anchorage, AK, United States)]. Competition between recolonizing sea otters and human fisheries for invertebrates (e.g., clams, crabs, abalone), whose populations expanded in the sea otters’ absence, has led to conflict in some parts of their range (Carswell et al., 2015). In Alaska, some lawmakers in the state government have suggested that sea otters be culled to reduce pressure on certain commercially exploited invertebrates, but this would require a change in the Marine Mammal Protection Act of 1972. As sea otters reoccupy northern Japan for the first time in over one hundred years, local fishing communities that harvest high-value invertebrates (e.g., “uni” sea urchin roe sells for ∼$300 kg, and a sea otter can eat 4–5 kg per day) may place pressure on the government to limit the extent of their reoccupation. Sea otter density at large spatial scales is a mosaic of local densities that depend on many factors and vary over different time scales. To understand the complex interaction of factors that influence sea otter density, tracking individual animals and conducting regular censuses at appropriate spatial scales is needed. Satellite tracking using animal-borne transmitters is possible with most marine mammals, but not currently with sea otters. Unlike other marine mammals that tolerate external attachment of instruments to the skin or hair using adhesives, sea otters rely on the thermal insulation of their fur, which adhesives or other forms of external attachment can compromise. Instruments attached to the hind flippers are susceptible to removal or destruction by the animal and must be extremely small and lightweight to avoid tearing the flipper’s webbing. Intraperitoneal radio transmitters have been used to track sea otters (Garshelis and Siniff, 1983). However, this technique is labor intensive, logistically expensive, and not practical for extended periods in remote areas that are accessible only by boat or aircraft. Intraperitoneal satellite transmitters do not exist because of antenna limitations. New technology is needed to overcome these tagging limitations. In addition, continuing sources of information are needed for: (1) the abundance and distribution of prey, (2) sea otter dietary preference and consumption, (3) seasonal and annual primary productivity and oceanographic conditions, (4) predator abundance, and (5) the magnitude and sources of mortality, including the presence of diseases that decrease sea otter longevity or affect their prey. Obtaining this information, especially in more remote areas of the sea otter’s range, will not be easy and will require coordinated research over decades (see Question 3). Understanding the factors that regulate animal density may be one of the most challenging and expensive ecological questions. As a result, research will need to focus on a few sites that are representative of the variety of littoral habitats occupied by sea otters around the North Pacific Rim. From those sites, we may be able to extrapolate throughout the sea otter’s range. (3) How Should We Monitor the Effects of Sea Otters on the Littoral Community in Areas Where They Currently Exist and as They Reoccupy Areas From Which They Have Been Absent for Over a Century? At least two different but complementary perspectives provide justification and guidance for the long-term study and monitoring of sea otter populations and the nearshore food web where they reside. Both perspectives recognize the important role sea otters play in structuring the shallow, littoral ecosystem, but the perspectives differ in time and space. One view is driven by the conservation of sea otters as a species hunted to near extinction. Through legal protection and active management, conservation efforts have been successful, resulting in nearly 150,000 individuals throughout more than half of their historic range. A primary question is how food availability (ecosystem productivity; see Question 2) plays a role in limiting population and ecosystem recovery over long time periods. The second perspective focuses on the near-term impact of sea otters on large invertebrates (e.g., clams, crabs and urchins) that flourished in their absence and enabled economically and culturally important fisheries to thrive. From this perspective, the focus would be on predicting the effect of sea otter reoccupation on commercially valuable resources (see Question 6). Both perspectives will benefit from a multi-faceted approach to monitoring not only sea otters, but the nearshore ecosystems they occupy. Sea otters are a keystone predator in the nearshore food web of the north Pacific Rim (Estes and Duggins, 1995). Because of their well-documented effects on nearshore communities, broadly monitoring the littoral community along with sea otters provides information on the status of the ecosystem (Coletti et al., 2016). This holistic approach enables us to differentiate top-down vs. bottom-up mechanisms of community change and localized vs. broad-scale drivers of change (e.g., point-source pollutant vs. ocean climate-based changes in prey resources) and thereby to identify factors that drive change over time (Dean et al., 2014). Documented effects of sea otter reoccupation on marine communities include: (1) the expansion of kelp forests by reducing sea urchin populations (Estes and Palmisano, 1974; Estes and Duggins, 1995; Watson and Estes, 2011); (2) the creation of habitat for kelp settlement through disturbance (Kvitek et al., 1992; Weitzman, 2013; Traiger et al., 2016), (3) changes to epifaunal and infaunal species densities and size distributions (Singh et al., 2013; Weitzman, 2013) and (4) a reduction in commercially valuable invertebrates (Estes and VanBlaricom, 1985; Wendell et al., 1986b; Wendell, 1994; Watson and Smith, 1996; Larson et al., 2013; Hoyt, 2015). These changes are influenced by the population density of sea otters and the time since reoccupation of an area. However, bottom-up and abiotic processes that influence invertebrate communities also play a role in nearshore ecosystem function and should be considered when designing a nearshore monitoring plan that includes sea otters (Dean et al., 2014). Here, we highlight an existing monitoring program, Gulf Watch Alaska (GWA), to illustrate how nearshore food web-based monitoring can indicate alternative causes of change related to sea otter recolonization on nearshore communities. This example provides direction for future research and monitoring to address management goals. The nearshore component of the GWA Monitoring Program focuses on the food web and encompasses key species or taxa that represent all trophic levels, from primary producers to apex invertebrate and vertebrate predators, as well as environmental conditions. These include but are not limited to sea otters and their prey. Annually, we estimated abundance for all species within four regions spread across ∼1,000 km in the Gulf of Alaska. In addition, the GWA program evaluates various tractable performance metrics for key species such as survival rates, size distributions and diets. These measures are essential because they are sensitive indicators of population and environmental change and provide insights into the mechanisms of change (e.g., distinguishing food resource limitation from the effects of physical disturbance, disease, or predation pressure). Shallow littoral sites within the four regions have been randomly selected and are sampled annually. These intertidal sites span a range of habitats, from sheltered rocky areas to mussel beds to protected mixed-sediment beaches (Dean and Bodkin, 2011; Bodkin et al., 2016; Weitzman et al., 2017). Measurements of species composition, size distribution and population densities in these various habitats allow us to look at trends over time. We attempt to assign a cause to observed changes by contrasting top-down (sea otter foraging efficiency and prey abundance) and bottom-up (recruitment, growth rates and environmental metrics such as temperature) processes among the four regions and the scale at which changes occur (e.g., similar changes across all areas vs. changes observed asynchronously among regions). Sea otter abundance has been stable in the Kenai Fjords National Park (KEFJ) in southcentral Alaska since at least 2002. The diet of sea otters in the KEJF includes a high proportion of intertidal mussels (58%), which have experienced a period of decline and subsequent recovery despite consistent site-specific settlement of small mussels over time (Coletti et al., 2016; Bodkin et al., 2018). This pattern suggests that Gulf-wide mortality factors are influencing large mussel abundance, whereas site-specific factors are influencing the settlement and survival of smaller mussels (Bodkin et al., 2018). Because of differences in sea otters’ use of mussels outside of KEFJ, and the varying densities of sea otters across the Gulf, the Gulf-wide decline in large mussels was not attributed solely to sea otters, but rather to the combined effects of a broad suite of predators on post-settlement survival (top-down effects). Data suggest that mussel bed dynamics may be driven by processes that influence whether or not individuals survive to sizes suitable as sea otter prey, rather than that mussels are driven exclusively by top-down effects of sea otter predation (Coletti et al., 2016). Because the proportion of mussels in sea otters’ diet at KEFJ was correlated with large mussel abundance, reduced mussel abundance could have a significant effect on sea otter carrying capacity where they are important prey. In contrast to KEFJ, Katmai National Park and Preserve (KATM) in southwest Alaska has had a rapidly increasing sea otter population since 1989 (Estes, 1990; Bodkin et al., 1999; Bodkin, 2015). Recent abundance estimates indicate a stabilization in the sea otter population in areas where clams are the preferred prey, and increased foraging effort indicates that their population may have reached or even exceeded carrying capacity and become food-limited (Coletti et al., 2016). Simultaneously with sea otter monitoring, mixed sediment sites have been sampled for infaunal bivalve biomass. With increased sea otter foraging effort, GWA has observed a decline in available clam biomass further supporting food limitation as the driver in the sea otter population status. Sea otters likely have been the top-down force structuring clam populations along the KATM coast as clams constitute 63% of the otters’ diet. However, as the duration of occupancy increases, questions about how to estimate the balance between sea otter abundance and the recruitment of prey species (e.g., clams) as a factor limiting the sea otter population can be asked. While these two examples focus on the recolonization by sea otters of areas without fisheries conflicts, existing long-term monitoring programs, such as GWA, should guide the development of research questions that focus on the effects of recolonization on commercially viable prey species. Research indicates that sea otters and commercial bivalve fisheries in Southeast Alaska are generally incompatible (Larson et al., 2013; Hoyt, 2015). Management will benefit from a targeted approach to understanding bottom-up effects that shape species recruitment into sea otter prey populations in concert with the top-down effects of predation related mortality. Drivers of ecosystem productivity, which may dictate the sustainability of commercial bivalve fisheries as well as the carrying capacity of sea otters, should be addressed. (4) How Can Monitoring of Sea Otters Be Made Comparable Across Geo-Political Boundaries? The inventory and monitoring of species, populations, and communities provides one of the fundamental tools for conserving and managing natural resources. Pre-maritime fur trade management of sea otter abundance and coastal marine ecosystems suggests some form of population monitoring and management by indigenous peoples of North America to preserve shellfish resources (Simenstad et al., 1978; Salomon et al., 2015). However, little evidence exists of population monitoring during the commercial fur trade era beyond harvest records (Lensink, 1960). Following their near extirpation, there was little effort to monitor them because remnant populations were small, remote and in some cases unknown. The earliest censuses of sea otters were conducted by the Russian Coast Guard in the Commander Islands from 1924 to 1930 (Barabash-Nikiforov, 1947). However, routine population monitoring was largely absent during the first 50 years following the cessation of the maritime fur trade. As remnant populations increased their range and abundance, dedicated counts were made, eventually leading to the first systematic population monitoring (Barabash-Nikiforov, 1947; Lensink, 1962; Kenyon, 1969). Surveys to monitor sea otter population abundance are generally of two types. The first is considered a census, where it is assumed that all animals in an area are counted, and precision is not usually estimated. Under certain conditions, counts by experienced teams of observers following strict protocols nearly meet this assumption, with detection probability approaching 90% (Estes and Jameson, 1988). Census counts may be made from shore, the water or the air. However, within most of the sea otter’s range, shore counts are not possible due to restricted access. More typical are counts made from skiffs, larger vessels or aircraft in which detection probability is reduced relative to shore-based counts (however, see Cortez et al., 2016). Census methods produce counts that are biased low, to varying degrees, but may be suitably precise for monitoring trends over time assuming detection is relatively constant. A second method to monitor abundance is to correct for sighting bias of animals not detected and areas not surveyed. Accurate estimates may be required when populations are being managed for harvest quotas, such as in Alaska, or when mandated for conservation purposes, such as under the United States Endangered Species and Marine Mammal Protection Acts. While goals may vary, either survey type can generate population trend data, and it is important that accepted protocols be followed consistently to allow comparisons over space and time. Initially, remnant populations were small and occupied small ranges, enabling surveys that could be conducted from skiffs with limited personnel and time. Eventually, remnant and introduced populations increased in abundance and distribution, with some becoming contiguous over spatial scales of thousands of kilometers and comprising tens of thousands of individuals. As a result, surveys became logistically challenging and increasingly expensive, employing aircraft in some cases, with costs rising to hundreds of thousands of dollars. Consequently, the frequency of large scale surveys in areas such as Southeast Alaska and the Aleutian Islands declined to decadal intervals. Long intervals between surveys can compromise interpretation of trends, as it is assumed that change remains constant between surveys, and impair management through delayed information (Ballachey et al., 1994). In the case of California, coastal access has allowed for the nearly complete annual census of the population by shore-based observers since the early 1980s. As the population expanded both north and south into habitat that was not observable from shore, aircraft were used for surveys. This created a situation where two independent census methods generated counts with variable and un-quantified detection probabilities. As further range expansion continued, the proportion of the population surveyed by shore and air continued to change, with less survey effort from shore, where detection probability is high, to more survey effort from the air, where detection probability is lower, with potential implications for the interpretation of population trends. As sea otter populations continue to expand in their range and numbers, monitoring will become increasingly challenging, likely resulting in reduced effort and statistical power to detect change (Williams et al., 2018). Solutions may reside in better defining demographically distinct populations (see Question 1) and reallocating effort to optimize monitoring both spatially and temporally. Examples of this type of strategy include conducting smaller spatial-scale surveys at more frequent intervals (Bodkin, 2015; Coletti et al., 2016), rather than large-scale surveys less frequently, where demographically distinct population trends could become confounding (Esslinger and Bodkin, 2009). In the future, image based survey methods may eventually provide more efficient, accurate and precise abundance estimates suitable for monitoring sea otters at appropriate spatial scales. Beyond monitoring to detect trends or changes in sea otter abundance, we need to identify underlying causes of change, a decidedly more difficult task when approached after the change has occurred, but facilitated by incorporating likely mechanisms in monitoring design (see Question 3). Organizations engaged in sea otter management and conservation will benefit from collaboratively designing sea otter monitoring protocols across the North Pacific that will optimize efforts, enable the detection of trends and causes, and provide for spatial contrasts of those variables over time (Coletti et al., 2016). (5) Should Additional Translocations Be Considered as a Tool to Restore Sea Otter Populations, Their Genetic Diversity and Nearshore Ecosystems? Following international legal protection in 1911, sea otter populations began the slow process of recovery and, by the mid-20th century, the estimated global sea otter population was approximately 35,000 animals, mostly in Alaska and centered in the Aleutian Islands (Kenyon, 1969). Along the west coast of North America, they remained absent from eastern Prince William Sound in Alaska to central California- a linear distance of approximately 4,000 km of nearshore habitat where they formerly existed. The first efforts to restore sea otters to parts of their historical range took place from the mid-1960s to the early 1970s in a series of translocations from Amchitka Island and Prince William Sound to the Pribilof Islands in Alaska, Southeast Alaska, Vancouver Island in British Columbia, and Washington and Oregon states (Jameson et al., 1982). Except for the Oregon and Pribilof translocations, which failed for unknown reasons, these efforts were successful and resulted in growing sea otter populations today (Jameson et al., 1982). In 1987, an additional translocation moved sea otters from the central California coast to San Nicolas Island to establish a second southern sea otter population that would prevent possible extinction in the event of a catastrophic oil spill. A total of 139 wild sea otters were translocated. However, few remained at the island, and many swam ∼100 km back to the California mainland (Rathbun et al., 2000). The San Nicolas population remained small (∼20 animals) for decades, and the translocation program was administratively deemed a failure in the early 2000s (Federal Register 77, 2012; p. 75266). However, this population has persisted, continues to grow and now numbers ∼80 animals (Tinker and Hatfield, 2017). Translocations into historical habitat that had been unoccupied for over a century resulted in populations that grew at or above 20% per year (thought to be the maximum for the species), likely due to abundant prey and little competition among conspecifics (Bodkin et al., 1999). Another benefit of the translocations of sea otters from both Prince William Sound and the Aleutian Islands was increased genetic diversity (Larson et al., 2002a). Furthermore, the adjacent translocated populations in British Columbia and Washington states have expanded their range, resulting in overlap and genetic mixing thereby boosting the genetic diversity to ∼70% of the pre-fur trade level (Larson et al., 2002b, 2012; Larson and Bodkin, 2015; Sato, 2018). Despite these successful translocations, ∼4,000 linear km of historically occupied habitat remains unoccupied (Figure 2). Most notable are the nearshore areas: (1) between Northern Japan and throughout the east coast of Sakhalin Island, Russia (∼1,000 km); (2) between the southern portion of Southeast Alaska and parts of British Columbia (∼400 km); (3) between central Washington State (the current southern range limit of the northern sea otter) and midway between Monterey Bay and San Francisco Bay, CA, United States (the current northern range limit of the southern sea otter; ∼1,500 km); and (4) south of Santa Barbara, CA, United States (the current southern range limit of the southern sea otter) and central Baja California (∼800 km) (Larson and Bodkin, 2015). In addition to re-establishing population connectivity and restoring genetic diversity, the translocation of sea otters into historically occupied habitat restores the nearshore ecosystem. Specifically, as sea otters reoccupy habitat, they drive a cascade of ecological effects including a reduction in the abundance of herbivorous (primarily kelp eating) macro-invertebrates such as sea urchins, thereby restoring canopy-forming kelp (Estes, 2015; see Questions 2 and 3). Restoration of kelp forests in the nearshore increases biodiversity by moving the ecosystem from one dominated by sea urchin barrens to one characterized by a wide variety of kelp-dependent species of invertebrates, fishes and seabirds (Estes, 2015). Where sea otters persist, there is more complexity and productivity in the nearshore marine ecosystem. From 1965 to 1990, seven sea otter translocations were made into historically occupied habitat, resulting in five self-sustaining populations. In 2015, those reintroduced populations accounted for approximately 30% of the nearly 150,000 extant sea otters and occupied more than 50% of the sea otter’s historical range (Bodkin, 2015). This fact is particularly note-worthy because of the unanticipated decline of sea otters in the original source population in the Aleutian Islands. The success of the translocations to Southeast Alaska, British Columbia, Canada, and Washington state helped mitigate declines in the Aleutian Islands. Given the contribution of translocations to the conservation of sea otters by increasing the total numbers of sea otters present today, increasing population connectivity, increasing genetic diversity, and restoring coastal marine ecosystems, we suggest additional translocations be considered to facilitate sea otters’ recolonization of their historical range. If the successful translocations during the last half of the 20th century had not occurred, sea otters still might exist only in portions of Russia, Alaska and California. (6) How Can Research Help Managers Assess the Socioeconomic Costs and Benefits of Sea Otter Range Expansion and Anticipate and Mitigate Conflicts? As sea otter populations have recovered, they have come into contact and sometimes conflict with human activities that developed during the more than 100 years when the sea otter was ecologically extinct as a keystone species in the nearshore (Estes and VanBlaricom, 1985; Wendell et al., 1986b; Wendell, 1994; Watson and Smith, 1996; Larson et al., 2013; Hoyt, 2015). At the same time, sea otters have helped to restore the ecological functioning of degraded coastal ecosystems by initiating trophic cascades in kelp forests (Estes and Palmisano, 1974; Estes and Duggins, 1995; Watson and Estes, 2011) and estuaries (Hughes et al., 2013), thereby providing valuable ecosystem services by means of these indirect effects. Although fishery-related conflicts historically have received the most attention, managers need information sufficient to assess the full suite of effects associated with sea otter range expansion (whether resulting from natural population growth and movement or from future translocations), including beneficial environmental and socioeconomic effects. However, available information is often inadequate for managers to conduct meaningful analyses or to anticipate and mitigate conflicts before they occur. In the following, we recommend avenues for future research on sea otters in relation to fisheries, threatened or endangered species, climate change, ecotourism, and non-market valuation to inform the analyses that guide environmental policy and management. The effects of sea otters on commercial, recreational, and subsistence shellfish fisheries (Estes and VanBlaricom, 1985; Wendell et al., 1986b; Wendell, 1994; Watson and Smith, 1996; Larson et al., 2013; Hoyt, 2015) due to competition for prey have been among the most highly visible and politically charged of sea otters’ interactions with human activities (Carswell et al., 2015). The development of commercial and recreational shellfish fisheries was fueled by the high abundance of benthic invertebrates that developed during the absence of their natural predator, the sea otter. Subsistence shellfish harvesting also adapted to these new levels of shellfish abundance, and these altered ecosystems, characterized by the absence of sea otters and very high shellfish abundance, came to be viewed as “normal” and “natural.” Conflicts over the effects of sea otters on commercial shellfish fisheries emerged in California in the 1960s as the remnant sea otter population, first rediscovered near Big Sur in the early 20th century, grew and began to reclaim range to the south (Carswell et al., 2015). In British Columbia and Southeast Alaska, conflicts did not begin to emerge for several more decades because sea otters were not reintroduced to these areas until the late 1960s and early 1970s (Bigg and MacAskie, 1978; Jameson et al., 1982; Nichol, 2015). Evidence indicates that commercial shellfish fisheries are unlikely to persist in an area once sea otters have recolonized it. However, there is a delay between the time when sea otters expand into an area and when commercial-scale harvesting of shellfish becomes inviable, the length of which is somewhat species-dependent. Sea urchins and abalone are depleted quickly because they are highly accessible and relatively immobile, whereas geoducks—a species of bivalve that burrows deeply in soft sediment and can occur in deep water—are depleted at a slower rate (Kvitek and Oliver, 1992; Kvitek et al., 1993; Watson and Smith, 1996; Reidy and Cox, 2013; Hoyt, 2015). Management options to mitigate the effects of sea otters on fisheries do not include reducing sea otter populations through harvests or culls. Harvest of sea otters in the United States is strictly limited to coastal Alaska Natives who can “take” sea otters for subsistence and for creating and selling authentic native handicrafts. Under the Canadian Constitution, aboriginal peoples have the right to hunt for subsistence food and for social or ceremonial purposes, but not as a means of reducing sea otter abundance. However, fisheries conflicts could be mitigated to some degree by anticipating the timing and location of changes and addressing them with pre-emptive fishery management actions. Much has been learned about the drivers and effects of sea otter population growth and range expansion because of systematic and regular population surveys, tagging and tracking programs, and diet studies throughout their range. Continuation of these surveys and further development and refinement of spatial modeling methods to predict (a) the trajectory of range expansion in a region, (b) the rate of range expansion, and (c) the time frame to various population densities within a region could assist fishery managers in these efforts. Fine-scale information on sea otter distribution, abundance, and patterns of consumption could be used to predict areas most likely to be affected by sea otter predation and allow for the incorporation of predation into models used to estimate fishery surplus production (Larson et al., 2013). These are challenging goals, but with well-articulated uncertainties, the results could be useful to managers in anticipating and planning for sea otters’ effects on the abundance of commercially or recreationally targeted species of shellfish. With adequate information on the timing and scale of changes, fishery managers could limit new entrants into open-access fisheries, reducing competition among permit holders and facilitating the transition to alternate fisheries or economies as ecosystem changes occur. Marine mariculture may represent an alternative to the commercial and subsistence shellfish fisheries that cannot be sustained in the presence of sea otters. Clam gardens are evidence that aboriginal peoples in British Columbia in the past enhanced intertidal clam production by modifying and cultivating sections of beaches and may have excluded sea otters from these areas (Groesbeck et al., 2014). Contemporary abalone and oyster mariculture, when conducted using suitable methods, appear to be able to coexist with sea otters. Abalone mariculture occurs beneath the Monterey wharf in California in protective cages and indirectly benefits from the presence of sea otters through enhanced local availability of giant kelp, which is harvested to feed the growing abalone. Oyster mariculture formerly occurred in Elkhorn Slough, California, where no consumption by sea otters was reported (Estes and VanBlaricom, 1985), and currently occurs in the back portion of Morro Bay, California, although few sea otters use that area. Oyster mariculture using net bags or enclosed trays occurs in Kachemak Bay and Prince William Sound, Alaska and on the west coast Vancouver Island, British Columbia, despite the presence of large numbers of sea otters. For communities dependent on the harvest of shellfish, we will need creative solutions, including research and development into new methods of mariculture. Efforts to help communities reliant on commercial, recreational, or subsistence shellfish harvesting will require meaningful dialog to predict effects and find solutions. The incompatibility of sea otters and shellfish fisheries is well documented, but sea otters’ secondary trophic cascade effects on finfish fisheries are not as well understood. Through increases in kelp production arising from sea otters’ reduction of herbivorous invertebrates or increases in seagrass distribution and abundance arising from their reduction of cancrid (crabs in the Family Cancridae) predators of mesograzers on algal epiphytes, sea otter predation can benefit lingcod (Ophiodon elongatus), kelp greenling (Hexagrammos decagrammus), and several species of rockfish (Sebastes and Scorpaenichthys) (Markel, 2011; Hughes et al., 2013; Markel and Shurin, 2015). Sea otters likely also benefit Pacific herring (Clupea pallasii) and salmonids (Oncorhynchus spp.) because of these species’ reliance on kelp or seagrass habitat during critical phases of their life history. Research is needed to quantify the strength and persistence of sea otters’ effects on these and other species targeted by finfish fisheries, to identify the relevant timescale over which changes may be anticipated after sea otters recolonize and area, and to link these changes to fisheries production. Conflicts between sea otters and fisheries also can take the form of by-catch risk for sea otters. These conflicts ultimately may affect a fishery through area closures or required gear modifications. Sea otters are susceptible to entanglement and drowning in gill nets (Wendell et al., 1986a; Herrick and Hanan, 1988; Forney et al., 2001) and to entrapment and drowning in finfish, lobster, and Dungeness crab traps (Hatfield et al., 2011). However, gear interactions are difficult to detect in the field, either because observer programs do not exist for the relevant fisheries or because they are impractical to implement at levels of coverage that would yield meaningful results. Technological and analytical improvements in the assessment of sea otter take in fishing gear could direct the focus of managers to fisheries that are affecting sea otter populations and remove other fisheries from suspicion. In some cases, gear modifications are available that would reduce or exclude the potential for incidental take without appreciably affecting the catch of target species (Hatfield et al., 2011). Important areas of future research include predicting sea otter range expansion with respect to the distribution of net and trap fisheries, assessing actual levels of incidental take in these fisheries, and innovating gear modifications that reduce or prevent the potential for incidental take while maximizing catch of target species. In addition to their fishery-related impacts, sea otters may come into conflict with recovery efforts for other threatened or endangered species that are part of their natural prey base. Several abalone species are listed under endangered species legislation in Canada and in the United States,1 and other species may join the ranks depending on how well fisheries are managed. Sea otters do not cause the extinction of invertebrate populations, but they necessarily alter recovery targets if they are based on harvest data collected after the extirpation of sea otters. In the presence of sea otters, an important natural predator, abalone populations cannot recover to the densities and distribution that characterized the era when sea otters were ecologically extinct. Chadès et al. (2012) examined how different management actions (reducing poaching or reducing the sea otter population) would affect population dynamics and found that recovery targets for northern abalone (based on data collected during the period of sea otter absence) were not attainable even when modeled predation by sea otters and poaching of abalone by humans were reduced. They found that a 50% reduction in the poaching of northern abalone was necessary to reach a short-term recovery goal of halting further declines in northern abalone density in the presence of sea otters. While Chadès et al. (2012) treated the reduction of poaching and predation as independent strategies, they may in fact interact. For example, in central California, where a higher sea otter density is positively associated with higher black abalone density, sea otter predation may have served to reduce poaching impacts by driving black abalone into deep crevice habitat where they were safe from sea otters and poachers (Raimondi et al., 2015). Additional research is needed to establish the mechanisms controlling abalone density in the presence of sea otters and to guide management actions accordingly (Lee et al., 2016). There are several ways in which the beneficial effects of sea otters have direct relevance to management decisions but are difficult to quantify. This can lead agencies to describe these benefits only qualitatively alongside quantitative assessments of costs, which are more easily measured. Potential economic benefits include ecotourism in communities affected by sea otter range expansion (Loomis, 2006). Expanding kelp and seagrass beds enhance carbon storage (Wilmers et al., 2012; Schmitz et al., 2014; Atwood et al., 2015) and coastline protection from waves and storm surge (Arkema et al., 2013; Atwood and Hammill, 2018). Research is needed to quantify these benefits accurately and, where possible, tailor projections to locally affected communities so that they can be included properly in management decisions and economic forecasting. The “total economic value” framework used in environmental economics additionally recognizes “non-use value,” which comprises “existence value” (the benefit obtained from knowing a species continues to exist) and “bequest value” (the value of preservation so that opportunities for use or observation will exist in the future). Although this framework has been applied to sea otters (Loomis, 2006; Richardson and Loomis, 2009), further development and implementation is needed. The sea otter is now an important component of nearshore ecosystems from California to Japan. Reliable information on sea otter population growth and range expansion is needed to enable communities to adapt as shellfish fisheries are impacted. Information is also needed on the beneficial effects of: (1) sea otter-induced trophic cascades on finfish populations and fisheries, (2) enhanced kelp and seagrass beds that reduce shoreline erosion, and (3) atmospheric carbon sequestration provided by expanding kelp and seagrass beds. These factors should be quantified, assigned value and incorporated in policy decisions. Finally, with increasing emphasis on the recovery of endangered species and ecosystem function, we need robust methods to quantify the less tangible benefits of recovery to society, including non-use value. (7) Should Sea Otters Be Considered as Prey in the Nearshore Ecosystem Affected by Top-Down Forces of Higher-Level Predators for the Purposes of Conservation and Management? Sea otters are a keystone predator because they can have significant direct and indirect effects on nearshore ecosystems (Estes and Palmisano, 1974; Estes and Duggins, 1995). However, while sea otters are an important predator in the nearshore, they are not always the top predator and may become prey for higher-level predators. Sea otter pups are susceptible to predation by bald eagles (Haliaeetus leucocephalus) in areas where they co-occur (Sherrod et al., 1975; Anthony et al., 2008). The risk of eagle predation appears to have had behavioral effects on female sea otters, which tend to forage at night and employ other behaviors indicative of heightened vigilance when accompanied by newborn pups (Gelatt, 1996; Cortez et al., 2016). Other land-based predators that have been documented preying on sea otters include brown bears (Ursus arctos) on Russia’s Kamchatka Peninsula, along the Alaska Peninsula, and on Kodiak Island (Bednykh et al., 1986; Monson and DeGange, 1995). In addition, wolves (Canis lupus) are suspected to take live sea otters both on the Alaska Peninsula and near Glacier Bay in Alaska. However, these land-based predators likely are not having significant population-level effects. In contrast, white shark predation has had population-level effects within the southern sea otter’s range (Tinker et al., 2016). The lack of any evidence of consumption of sea otter carcasses suggests that they are not consumed by sharks but are the victims of exploratory bites that nonetheless result in injury and death (Tinker et al., 2016). White shark (Carcharodon carcharias) related mortality has long been identified as a barrier to the northward expansion of the southern sea otter population in California. A large northern elephant seal rookery at Año Nuevo Island in central California seasonally attracts white sharks, and the stalled northward expansion of sea otters in this area suggests that shark related mortality is the primary cause. Sea otter mortality due to shark attacks has increased since 2003, with a threefold to eightfold increase in the probability of a stranded carcass being shark bitten depending on location (Tinker et al., 2016). Moreover, white shark bites now account for >50% of recovered carcasses in California, with shark predation now limiting population expansion to the south as well as the north (Tinker et al., 2016). Presumably the increase in attacks on sea otters has co-occurred with the expansion of the elephant seal population both in terms of population size and geographic range along the coast. Killer whale (Orcinus orca) predation has had even larger population-level effects on sea otters, most notably in the Aleutian Islands where populations have declined by as much as 90% since the late 1980s (Estes et al., 1998, 2005; Doroff et al., 2003; Springer et al., 2003; Williams et al., 2004). Evidence that this decline is due to the top-down effects of killer whales includes the following: (1) the observed rate of killer whale predation events is consistent with the expected frequency relative to observer effort, (2) declines have occurred in outer coastal habitats but not within lagoon habitats inaccessible to killer whales (e.g., Clam Lagoon on Adak Island), (3) carcasses deposition on beaches has not increased during the decline (i.e., sea otters consumed entirely), (4) energetic calculations show that only a small number of killer whales could explain the decline (i.e., it is feasible that one pod caused the entire decline), (5) the geographic extent of the decline indicates that the cause is not localized (i.e., not from a point-source of contaminants), (6) the lack of evidence of disease or toxins in live-captured animals indicates that disease is not the cause, (7) there has been a dramatic nearshore shift (to within ∼100 m from shore) in sea otter distribution with the only remaining areas of outer coast sea otter concentrations (hotspots) characterized by shallow, complex reef habitats that are less accessible to killer whales, and (8) sea otter behavior when disturbed has changed (i.e., before the decline sea otters would move offshore, but after the decline they move close to shore or haul out). Furthermore, an abundance of urchins (a primary sea otter prey) in habitats where sea otters disappeared (Stewart et al., 2015) and an increase in the body size of sea otters during the decline do not indicate that bottom-up influences are responsible (Laidre et al., 2006; Monson, 2009). The sea otter population decline in the western Aleutian Islands prompted the United States Fish and Wildlife Service to designate this stock as threatened under the United States Endangered Species Act in 2005. The severity and geographic extent of this decline raise several conservation concerns. First, sea otters at many western Aleutian Islands now exist at extremely low densities with only a few scattered individuals along exposed outer coastal habitats (e.g., one otter was observed in the Ogliuga/Skagul island complex in 2015 skiff survey; USFWS). It is plausible that the few surviving females may not have access to a male during their short estrus periods (i.e., allee effects) at these extremely low densities. Secondly, the few remaining sea otter hotspots have small effective population sizes at risk of additional losses of genetic diversity. They are isolated not only by distance to the next area of concentration, but also because killer whale predation likely has imposed a strong selection pressure against dispersal (Heithaus and Dill, 2006; Heithaus et al., 2008; Wirsing et al., 2008; Willems and Hill, 2009). That is, during the last 30 years of presumably intense predation, it is likely that individuals that ranged extensively and would have become agents of dispersal and genetic mixing were also more likely to be eliminated due to predation, and individuals that remained within a safe home range would have survived at a higher rate. Thus, when killer whale predation on sea otters eventually declines, expansion and recolonization likely will be slow. Specifically, open water crossings that may have been an insignificant barrier to dispersal before the killer whale-driven decline may now prove an insurmountable barrier for future generations of sea otters, resulting in a significant reduction in gene flow between islands and eventually additional losses of genetic heterozygosity. Understanding sea otter dispersal patterns is critical to understanding sea otter expansion throughout their range, but it may be particularly relevant if dispersal distances are now reduced due to killer whale predation. Future research should focus on developing technology to determine sea otter dispersal distances in both predator-impacted areas (i.e., the Aleutian Islands) and areas without significant predation pressure. It was once thought that humans were the only significant predator of sea otters and, absent human interference, sea otters were an apex predator within the nearshore system. The past few decades have demonstrated that sea otter populations can be strongly influenced by the top-down pressure of higher-level predators, and this change in perspective should be acknowledged in management strategies. While eliminating the predators of sea otters is not scientifically advisable or legally feasible, other management options exist. For example, management could focus on protecting habitats that provide refugia from predation by killer whales and sharks. In addition, translocating sea otters (see Question 5) beyond areas where shark-bite mortality is especially high in California would allow for additional expansion of the southern sea otter population while translocations among Aleutian Island populations could maintain genetic exchange and heterozygosity within the remaining sea otter hotspots. The maritime fur trade in the late 18th and 19th centuries decimated and fragmented the sea otter population that once extended around the North Pacific Rim from northern Japan to central Baja California in Mexico. International legal protection and translocations in the 20th century have enabled sea otters to recover and reoccupy historical habitats with varying levels of success. Continued protection and conservation will be required for many decades. Recommendations for future research and management that will allow full, pre-exploitation recovery and restoration of nearshore ecosystems should focus on at least seven key challenges. (1) Defining populations: Demographically and ecologically, sea otter populations operate at smaller spatial scales than currently recognized by management agencies (e.g., at the subspecies and stock designations that currently span 1,000s of km). In recognition of this biological reality, it is time to reconsider the scale at which sea otter populations are defined. New technology useful in documenting sea otter dispersal along with genetic analyses on microgeographic scales are needed to understand historical and contemporary gene flow, especially in populations where predation may have selected against dispersal behavior. (2) Understanding factors that regulate sea otter population density: Sea otter density at the landscape scale is a mosaic of local densities that depend on many factors, which vary over different time scales. Understanding the factors that regulate sea otter density will be challenging and likely require focusing on a few index sites that are representative of the variety of littoral habitats occupied by sea otters around the North Pacific Rim. In addition, new technology is needed to remotely track individual animals at larger spatial and temporal scales with increased accuracy. (3) Quantifying the effects of sea otters on the littoral community: Consideration should be given to how food availability limits population and ecosystem recovery and on predicting the effect of sea otter reoccupation on commercially valuable resources. Simultaneous examination of sea otters, their prey and ecosystem productivity over space and time will allow us to infer causes of ecosystem change. Both conservation and management will benefit from a multi-faceted approach to monitoring not only sea otters, but also the nearshore ecosystems they occupy. (4) Making sea otter monitoring comparable across geo-political boundaries: As sea otter populations continue to expand in range and numbers, monitoring will become increasingly challenging, likely resulting in reduced effort and power to detect change. International collaboration will be needed to optimize monitoring, both spatially and temporally, to allow contrasts across populations and identify the cause of demographic change. (5) Evaluating the conservation benefits of sea otter translocations: The first successful efforts to restore sea otters to parts of their range took place from the mid-1960s to the early 1970s. Translocations into historical habitat often showed rapid growth, enhanced genetic diversity and connectivity, and restoration of nearshore community structure and biodiversity. Today, ∼4,000 km of historically occupied habitat remains unoccupied. Translocations would decrease the time required for sea otters to reoccupy their entire historical range and to restore nearshore community structure and biodiversity in areas where they are currently absent. (6) Assessing the socioeconomic costs and benefits of sea otter range expansion to anticipate and mitigate conflicts: The effects of sea otters on shellfish fisheries are well documented, but fine-scale information on sea otter distribution, population growth and future expansion is needed to support the adaptation of communities affected by expanding sea otter populations. An increased emphasis should be placed on quantifying the beneficial socioeconomic effects of sea otters (e.g., ecotourism) and sea otter-induced trophic cascades in kelp and seagrass habitats (e.g., benefits to finfish fisheries resulting from increases in finfish populations, increases in atmospheric carbon sequestration, and reduced shoreline erosion). (7) Recognizing sea otters as prey for the purposes of conservation and management in some circumstances: Sea otters are experiencing the top-down effects of higher-level predators in both California and the Aleutian Islands, which warrants consideration in sea otter management plans. Management applications include possible translocations around shark barriers in California to restart population expansion and among hotspots in the western Aleutian Islands to maintain gene flow and genetic health. Developing technology is needed to determine dispersal distances in both predator-impacted areas (i.e., the Aleutian Islands) and areas without significant predation pressure to help evaluate translocation needs. A common theme throughout these seven challenges is the need for information on interannual movements of sea otters, which affects dispersal, habitat use and gene flow. Our poor understanding of sea otter movements results from the inability to use satellite telemetry. Sea otters rely on their fur for insulation, which cannot be compromised by the attachment of external satellite telemeters used with many other marine mammal species. Currently, radio telemeters are implanted in the abdominal cavity, which precludes the use of satellite-linked devises because of antenna limitations. Tracking sea otters using intraperitoneal radio telemeters is expensive and impractical, especially in remote areas and during the winter, because it often requires personnel to locate individual animals using a radio receiver onboard an aircraft or boat. A miniature, satellite-linked telemeter that can be attached to a hind flipper and is tolerated (not removed or destroyed), or an implantable device that remains with the animal for life but provides a final location after death, may provide much-needed information on long-range movements. Some of these instruments exist, but they require refinement and field-testing on sea otters before their potential use can be assessed. Copyright © 2019 Davis, Bodkin, Coletti, Monson, Larson, Carswell and Nichol. This is an open-access article distributed under the terms of the Creative Commons Attribution License (CC BY). The use, distribution or reproduction in other forums is permitted, provided the original author(s) and the copyright owner(s) are credited and that the original publication in this journal is cited, in accordance with accepted academic practice. No use, distribution or reproduction is permitted which does not comply with these terms. This article was a collaborative effort by all authors. RD organized and integrated this article and wrote the Introduction, Question 2, and the Conclusion and Recommendations. JB wrote Question 4. HC wrote Question 3. DM wrote Questions 1 and 7. SL wrote Question 5. LC and LN wrote Question 6. The findings and conclusions in this article are those of the author(s) and do not necessarily represent the views of the United States Fish and Wildlife Service. This manuscript has been approved for publication consistent with USGS Fundamental Science Practices (http://pubs.usgs.gov/circ/1367/). This manuscript includes a review of past research and does not include any new data or metadata releases. Any use of trade, firm, or product names is for descriptive purposes only and does not imply endorsement by the United States Government. The authors recognize the support they have received from their respective institutions and numerous colleagues and students over many years, which made this article possible. ^In the United States, white abalone (Haliotis sorenseni) were listed as endangered under the Endangered Species Act in 2001, and black abalone (Haliotis cracherodii) were listed as endangered in 2009. In Canada, northern abalone (Haliotis kamtschatkana) were listed under the Species at Risk Act in 2003. Barabash-Nikiforov, I. I. (1947). “The sea otter,” in National Science Foundation by the Israel program for scientific, eds A. Birron and Z. S. Cole (Jerusalem: Soviet Ministrov RSFSR), 227. Bednykh, A. M., Burkanov, V. N., Kornev, S. I., and Krivolapov, I. I. (1986). “Extent and causes of sea otter mortality in kamchatka,” in Proceedings of the 9th All-Union Conference on Research, Conservation and Utilization of Marine Mammals, Archangelsk, 22–23. Bodkin, J. L. (2015). “Historic and contemporary status of sea otters in the North Pacific,” in Sea Otter Conservation, eds S. E. Larson, J. L. Bodkin, and G. R. VanBlaricom (London: Elsevier), 43–61. Bodkin, J. L., Dean, T. A., Coletti, H. A., and Ballachey, B. E. (2016). Mussel Bed Sampling: Standard Operating Procedure, v. 1.2, Southwest Alaska Network. Natural Resource Report NPS/SWAN/NRR—2016/1175. Fort Collins, CO: National Park Service. Carswell, L. P., Speckman, S. G., and Gill, V. A. (2015). “Shellfish fishery conflicts and perceptions of sea otters in California and Alaska,” in Sea Otter Conservation, eds S. E. Larson, J. L. Bodkin, and G. R. VanBlaricom (London: Elsevier), 335–367. Conrad, P. A., Kreuder, C., Mazet, J., Dabritz, H., Grigg, M., James, E., et al. (2005a). Sea otters serve as sentinels for protozoal pathogens transmitted from the terrestrial hosts to marine mammals. Am. J. Trop. Med. Hyg. 73, 8–8. Conrad, P. A., Miller, M. A., Kreuder, C., James, E. R., Mazet, J., Dabritz, H., et al. (2005b). Transmission of toxoplasma: clues from the study of sea otters as sentinels of Toxoplasma gondii flow into the marine environment. Int. J. Parasitol. 35, 1155–1168. Dean, T. A., and Bodkin, J. L. (2011). SOP for Sampling of Intertidal Invertebrates and Algae on Sheltered Rocky Shores – Version 4.6: Southwest Alaska Inventory and Monitoring Network. Natural Resource Report. NPS/SWAN/NRR—2011/397. Fort Collins, CO: National Park Service. Dean, T. A., Bodkin, J. L., and Coletti, H. A. (2014). Protocol Narrative for Nearshore Marine Ecosystem Monitoring in the Gulf of Alaska: Version 1.1. Natural Resource Report NPS/SWAN/NRR – 2014/756. Fort Collins, CO: National Park Service. Esslinger, G. G., and Bodkin, J. L. (2009). Status and Trends of Sea Otter Populations in Southeast Alaska, 1969–2003. U.S. Geological Survey Scientific Investigations Report 2009–5045. Reston, VA.
Estes, J. A. (2015). “Natural history, ecology, and the conservation and management of sea otters,” in Sea Otter Conservation, eds S. E. Larson, J. L. Bodkin, and G. R. VanBlaricom (London: Elsevier), 19–41. Estes, J. A., and VanBlaricom, G. R. (1985). “Sea-otters and shellfisheries,” in Marine Mammals and Fisheries, eds J. R. Beddington, R. J. H. Beverton, and D. M. Lavigne (London: George Allen & Unwin), 187–235. Federal Register 77. (2012). Interior Department Fish and Wildlife Service, Vol. 77. College Park, MD: National Archives and Records Administration, 75266. Forney, K. A., Benson, S. R., and Cameron, G. A. (2001). “Central California gill net effort and bycatch of sensitive species, 1990-1998,” in Seabird Bycatch: Trends, Roadblocks, and Solutions, eds E. F. Melvin and J. K. Parrish (Fairbanks, AK: University of Alaska Sea Grant), 141–160. Garshelis, D. L., and Siniff, D. B. (1983). Evaluation of radio transmitter attachments for sea otters. Wildl. Soc. Bull. 11, 378–383. Gelatt, T. S. (1996). Activity Patterns and Time Budgets of Sea Otters at Amchitka Island, Alaska. M.S. thesis, University of Minnesota, St. Paul, MN. Herrick, Jr, and Hanan, D. (1988). A Review of California Entangling Net Fisheries, 1981-1986. National Oceanic and Atmospheric Administration Technical Memorandum National Marine Fisheries Service NOAA-TM-NMFS-SWFC-108. Silver Spring, MD: National Oceanic and Atmospheric Administration. Hoyt, Z. N. (2015). Resource Competition, Space Use and Forage Ecology of Sea Otters, Enhydra lutris, in Southern Southeast Alaska. Ph.D. thesis, University of Alaska, Fairbanks. Jameson, R. J., Kenyon, K. W., Johnson, A. M., and Wight, H. M. (1982). History and status of translocated sea otter populations in North America. Wildl. Soc. Bull. 10, 100–107. Kenyon, K. W. (1969). The Sea Otter in the Eastern Pacific Ocean North American Fauna. Washington, DC: U.S. Fish and Wildlife Service. Laidre, K. L., Estes, J. A., Tinker, M. T., Bodkin, J., Monson, D., and Schneider, K. (2006). Patterns of growth and body condition in sea otters from the Aleutian archipelago before and after the recent population decline. J. Anim. Ecol. 75, 978–989. doi: 10.1111/j.1365-2656.2006.01117. Larson, S., Jameson, R., Etnier, M., Fleming, M., and Bentzen, P. (2002b). Loss of genetic diversity in sea otters (Enhydra lutris) associated with the fur trade of the 18th and 19th centuries. Mol. Ecol. 11, 1899–1903. Lensink, C. J. (1962). The History and Status of Sea Otters in Alaska. Ph.D. thesis. Purdue University, West Lafayette IN. Markel, R. W. (2011). Rockfish Recruitment and Trophic Dynamics on the West Coast of Vancouver Island: Fishing, Ocean Climate, and Sea Otters. Ph.D. thesis, University of British Columbia, Vancouver. Monson, D. H. (2009). Sea Otters (Enhydra lutris) and Steller Sea Lions (Eumetopias jubatus) in the North Pacific: Evaluating Mortality Patterns and Assessing Population Status at Multiple Time Scales. Ph.D. thesis, University of California, Santa Cruz, CA. Raimondi, P., Jurgens, L. J., and Tinker, M. T. (2015). Evaluating potential conservation conflicts between two listed species: sea otters and black abalone. Ecology 96, 3102–3108. doi: 10.1890/15-0158. Riedman, M. L., and Estes, J. A. (1990). The Sea Otter (Enhydra lutris): Behavior, Ecology and Natural History. Washington, DC: U.S. Fish and Wildlife Service. Sato, C. L. (2018). Draft Periodic Status Review for the Sea Otter in Washington. Olympia, WA: Washington Department of Fish and Wildlife. Scribner, K. T., Bodkin, J., Ballachey, B., Fain, S. R., Cronin, M. A., and Sanchez, M. (1997). “Population genetic studies of the sea otter (Enhydra lutris): a review and interpretation of available data,” in Molecular Genetics of Marine Mammals, Vol. 3, eds A. E. Dizon, S. J. Chivers, and W. F. Perrin (Lawrence, KS: Special publication of the Society of Marine Mammalogy), 197–208. Tinker, M. T. (2015). “The use of quantitative models in sea otter conservation,” in Sea Otter Conservation, eds S. E. Larson, J. L. Bodkin, and G. R. VanBlaricom (London: Elsevier Academic Press), 257–300. U.S. Fish and Wildlife Service (2013). Southwest Alaska Distinct Population Segment of the Northern Sea Otter (Enhydra lutris kenyoni) – Recovery Plan. Alaska: U.S. Fish and Wildlife Service. Watson, J. C., and Smith, T. G. (1996). “The effect of sea otters on shellfisheries in British Columbia,” in Invertebrate Working Papers, eds C. M. Hand and B. J. Waddell (Ottawa: Fisheries and Oceans Canada), 262–303. Weitzman, B. P. (2013). Effects of Sea Otter Colonization on Soft-Sediment Intertidal Prey Assemblages in Glacier Bay, Alaska. Ph.D. thesis, University of California, Santa Cruz. Weitzman, B. P., Bodkin, J. L., Kloecker, K. A., and Coletti, H. A. (2017). SOP for Monitoring Intertidal Bivalves on Mixed-Sediment Beaches – Version 2.0: Southwest Alaska Inventory and Monitoring Network. Natural Resource Report NPS/SWAN/NRR—2017/1443. Fort Collins, CO: National Park Service. Wendell, F. (1994). 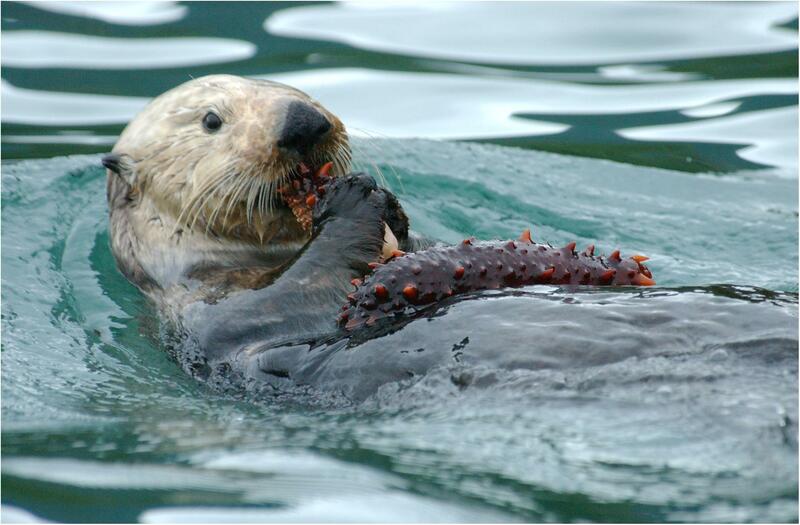 Relationship between sea otter range expansion and red abalone abundance and size distribution in central California. Calif. Fish Game 80, 45–56. Wendell, F. E., Hardy, R. A., and Ames, J. A. (1986a). Assessment of the Incidental Take of Sea Otters, Enhydra lutris, in Gill and Trammel Nets. Technical Report No. 54. Sacramento CA: Marine Resources Branch. Wendell, F. E., Hardy, R. A., Ames, J. A., and Burge, R. T. (1986b). Temporal and spatial patterns in sea otter (Enhydra lutris) range expansion and in the loss of the Pismo clam fisheries. Calif. Fish Game 72, 197–212.